Can’t afford to prep? Think again. This post was originally published at http://modernsurvivalonline.com/start-prepping-for-100/. - Rourke I have received quite a few emails recently from people that are concerned about the future of this country as well as natural … [Read more...] about Can’t afford to prep? Think again. 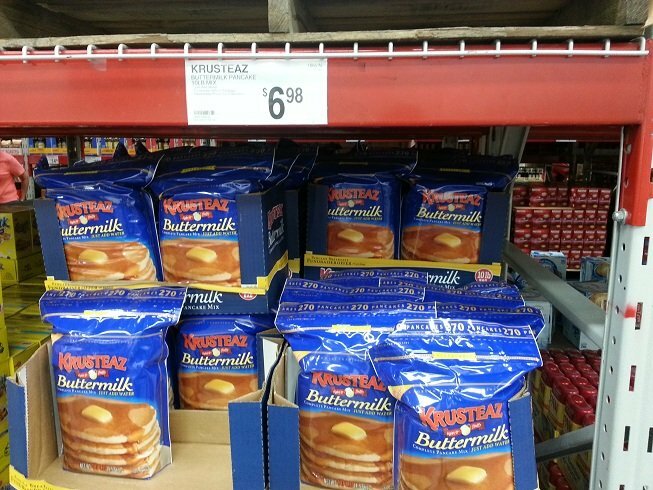 Prepping on a Budget: Pancakes……..
With today's tight economy, finding "extra" money to stock up on food is not easy. Prices seem to be going up on everything and not at a slow rate either. Just this past weekend I went to the grocery store and saw hamburger for $4.99 per pound - on … [Read more...] about Prepping on a Budget: Pancakes……..